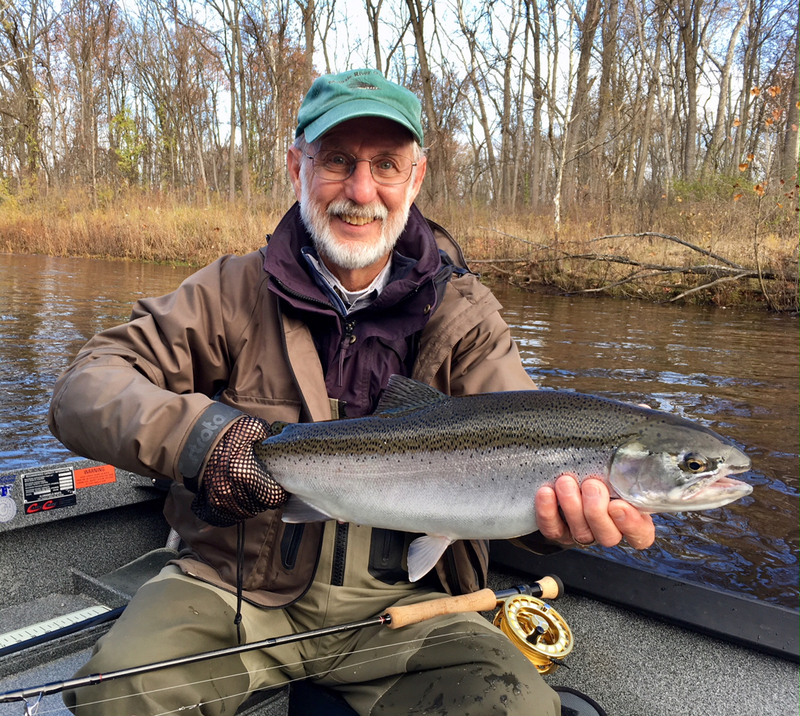 Killer weather, wonderful MO flow, two terrific guys—Ron and Bob—and, delightfully—willing steelhead! 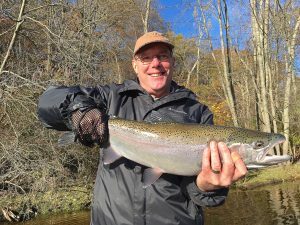 Today was truly “Just the Best.” From the first run to the last, the guys hooked steelhead (with some lulls in between, to be sure), and though Bob had his shots early to land a steelhead, he sandbagged until the last set at day’s end to close the deal. 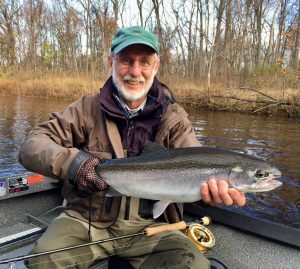 I love these two men—both former educators—for their gracious selflessness, infectious humor, love of the outdoors (and especially fly fishing! ), and their deep appreciation of God’s creation in all its wonder and appeal. Thanks a ton, guys, for a most enjoyable and memorable day; I loved every minute of it! 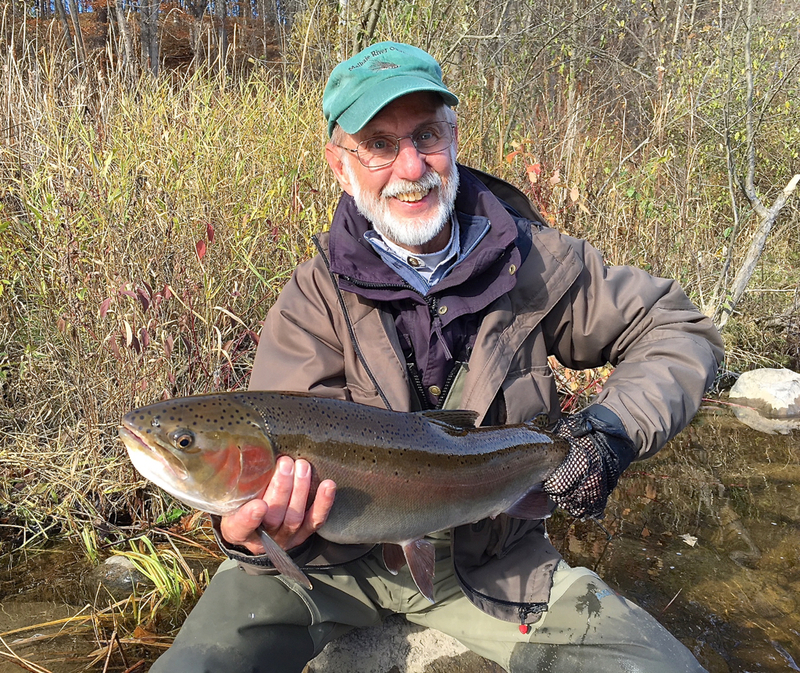 Ron poses one his steelhead streamside, and Bob beams with his “finally got it done” buck just before the curtain fell for the day.